Milwaukee’s population from Luxembourg played important roles in the development of several towns in the metropolitan area. Like the Germans, from whom their language descended, the Luxembourgers settled along Lake Michigan from Chicago through Milwaukee and northward through Ozaukee County and into Sturgeon Bay in the middle of the nineteenth century. In the nineteenth century, some one-fifth of Luxembourg’s population emigrated to the United States from the area that in 1867 won independence from the Netherlands. Luxembourgers chose to leave their places of birth in the nineteenth century for a variety of reasons, including increasing population, industrialization, and the agricultural crises in the area. The availability of land and promise of high wages made the United States an attractive destination for Luxembourgers emigrants. The Milwaukee area’s Luxembourger population is perhaps best known for their role in the development of Port Washington and farming communities in Ozaukee County. While the founding of Port Washington in 1835 predates the arrival of the Luxembourger population, the six families that arrived in the 1840s grew quickly to help anchor the developing town. Port Washington was not the only town that Luxembourgers played important roles in developing. 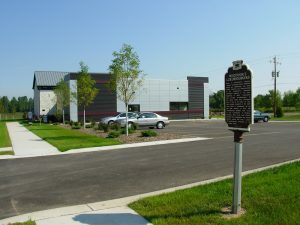 The two years of 1848 and 1849 saw the founding of Belgium, Fredonia, Holy Cross, Lake Church, and Waubeka in Ozaukee County, along with Dacada, which straddles Ozaukee and Sheboygan County. In these towns, Luxembourgers set up a number of churches and schools, most of which were Catholic, including St. Mary’s Parish in Port Washington in 1850, where a statue of Our Lady of Luxembourg still stands. An exception was Fredonia’s St. John’s Lutheran Church. By the end of the nineteenth century, more than 250 Luxembourger families lived in the Ozaukee County area. Though Luxembourgers numbers remained small, the area retained Luxembourger identity in the Wisconsin chapter of the Luxembourg Society of America (alternatively known as the Luxembourg American Cultural Society). 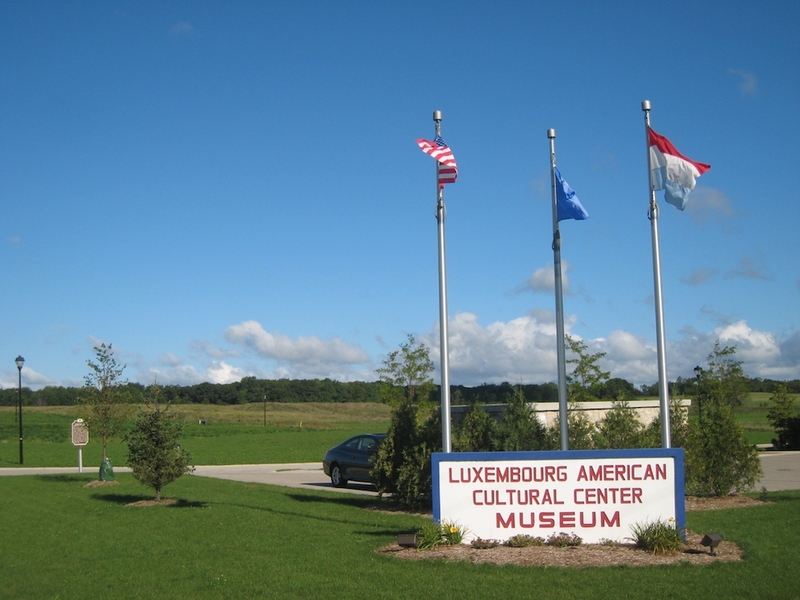 Founded in 1977, the society has a mission to preserve Luxembourg’s culture and history in the United States. Since 1987, the society has held Luxembourg Fest in the Town of Belgium. Each year, it attracts approximately several thousand attendees from around the United States and Luxembourg. ^ Jean Esch, and Jean Claude Muller, Luxembourger Emigration to the United States (Luxembourg: [Publisher Unclear], 1986), 2; “Luxembourgers in Wisconsin,” Wisconsin Historical Society, http://www.wisconsinhistory.org/dictionary/index.asp?action=view&term_id=11078&keyword=luxembourgers, last accessed August 20, 2012. ^ Esch and Muller, Luxembourger Emigration to the United States, 8, 10-11. ^ “Port Washington (Brief History), Wisconsin Historical Society, http://www.wisconsinhistory.org/dictionary/index.asp?action=view&term_id=15083&keyword=port+Washington, last accessed August 20, 2012, now available at http://www.wisconsinhistory.org/Content.aspx?dsNav=Ny:True,Ro:0,N:4294963828-4294963805&dsNavOnly=Ntk:All%7cluxembourger%7c3%7c,Ny:True,Ro:0&dsRecordDetails=R:CS2383&dsDimensionSearch=D:port+washington,Dxm:All,Dxp:3&dsCompoundDimensionSearch=D:port+washington,Dxm:All,Dxp:3, last accessed November 17, 2016; “Luxembourgers in Wisconsin,” Wisconsin Historical Society, http://www.wisconsinhistory.org/dictionary/index.asp?action=view&term_id=11078&keyword=luxembourgers, last accessed August 20, 2012. ^ Colleen Jurkiewicz Dorman, “We Are Who We Are: Luxembourg-Americans Celebrate Their Culture,” accessed on December 19, 2014. ^ Kevin J. Wester, Wisconsin’s Grand Duchy: A Pictorial History of the Luxembourger Communities of Belgium, Dacada, Fredonia, Holy Cross, Lake Church, Port Washington and Waubeka in Ozaukee County, Wisconsin, USA, volume one (Belgium, WI? : The Society: 2002), v, 31, 33, 48, 54, 56, 63, 96; “Wisconsin’s Luxembourgers (Historic Marker Erected 1998),” Wisconsin Historical Society, accessed October 2, 2015. ^ Luxembourg American Cultural Society, Inc., accessed October 2, 2015. Wester, Kevin J. Wisconsin’s Grand Duchy: A Pictorial History of the Luxembourger Communities of Belgium, Dacada, Fredonia, Holy Cross, Lake Church, Port Washington and Waubeka in Ozaukee County, Wisconsin, USA, vol. 1. Belgium, WI? : The Society: 2002.